As usual, there is a certain focus on Halloween-themed stories in the Sep­tember-October Asimov’s. 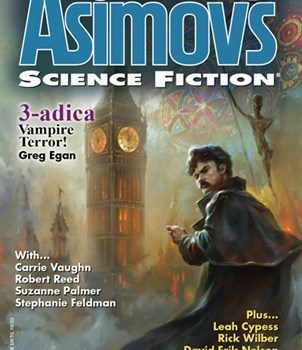 The cover novella comes from a writer one hardly expects to be working in that mode, but Greg Egan‘s “3-adica” does open in a foggy Victorian Lon­don of sorts, and Sagreda and her lover Mathis do encounter dangerous vampires. It’s quickly clear we’re in an Eganesque milieu – a simulated world, based in this case on a fairly lame fantasy novel, but Sagreda and Mathis are searching for a different world entirely. It seems they’ve learned the secret of hacking the operating sys­tems of their host machines to jump to different simulations, and are looking for a world based on the (real) math game 3-adica. Their reasons lie in their real natures, which we learn along the way, and 3-adica, when they get there, is a mathematically fascinating environment. (I was reminded a bit of “Wang’s Carpets” described in that much earlier Egan story, one of his very best.) The story itself comes to a solid conclu­sion, with a slingshot – and I gather there is more coming in this milieu. Strong work. Carrie Vaughn‘s “The Huntsman and the Beast” is a fine gender-switched “Beauty and the Beast” variant, with Jack, the huntsman for a decent if slightly thick Prince, leading his lord and their party to a seemingly deserted castle. It’s still inhabited – by a Beast, of course – who subdues them. Jack offers himself as hostage for his Prince, and the story can be guessed fairly well from that point on: the Beast’s true nature, her backstory, and the crisis when the Prince returns, determined to rescue a loyal retainer who no longer wishes to be rescued. 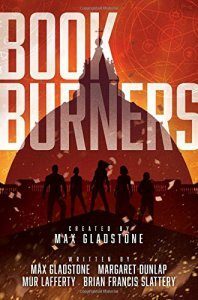 This is nicely done, and handles the simple fact that the basic outline of the story is fairly clear from step one – there is enough new and honest here to take us happily to the expected (but not overdetermined) close. 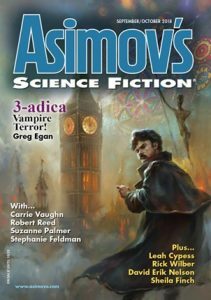 In the September-October Analog we have another strong cover story: “Go Random, My Love” by Bill Johnson, set in an intriguing future, much of which is only lightly hinted at – involving AI and long-lived, apparently resurrected 20th-century people and accessible worlds in universes with different physics…. The reader can figure much of it out, but I would like to see more about the formation of this milieu! The story itself involves Roy Greenberg, a Vietnam vet, who is in deep space with his only companion, his ship’s limited AI, whom he calls Cele. 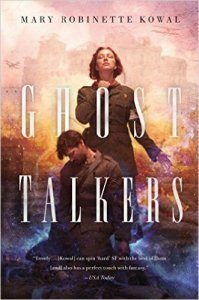 They get a rescue plea from an old lover of Roy’s, and they follow her to a strange and inter­estingly dangerous planet, where Roy must try to rescue her while both he and Cele are under attack from various angles. Cool stuff, though it feels to me that “the rest of the story,” both backstory and sequel, will really make it special. I also liked Adam-Troy Castro‘s “The Un­necessary Parts of the Story“, which cleverly deconstructs an all-too-familiar scenario: the Spaceship with the Captain and the Professo­rial Type and the Hot Girl and the Forgettable Guy, etc., etc., as they deal with a horrible alien plague in mostly very stupid ways. Point of view is everything in this story, and that leads us down a path to a not-quite-expected conclusion. I found nothing particularly earthshaking in the 108th issue of On Spec, but there were several stories best described as pleasant reading. Robin S. Carson‘s “Medicus” is one such: a time travel story, about a man who has been trapped in Ancient Rome for 20 years, and who, after a dark time of slavery, has built himself a life as a respected man of his village and has married a woman he loves. Now a man has come back in time to fetch him “home” – but his idea of “home” has changed. There’s a tinge of wish-fulfillment here, and I was also left wanting to know more about how he came to travel to the past, but I did enjoy the story. Likewise is “The Saffron Curse” by Marcell Dubé, a featherlight but sweet story of a new restaurant opening in an apparently cursed location, and what happens when the chef tempts fate by using the saffron he’s promised to foreswear. One particularly exciting development is a new print incarnation of the often resurrected Amazing Stories. This Fall issue, just launched at Worldcon, features a generous selection of stories, from some prominent writers and some less familiar, included the first half of a serial­ized long novella about Captain Future by Al­len M. Steele. I enjoyed a slim romantic literal timeslip story from Paul Levinson, “Slipping Time“, in which a man who, when he slips and falls, occasionally travels back in time, gets a chance to make up with his girlfriend before a silly fight can happen. 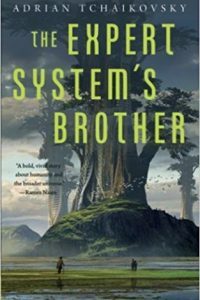 The best story here is “Sister Solveig and Mr. Denial” from Kam­eron Hurley, which is set in a depressing future in which genetic engineering gone bad has led to laws (as well as violence) against “gene freaks.” The narrator and his sister are “sneeks” – they were modified to be better fighters, she more successfully than he. Their job, ironically, is to hunt down other “gene freaks,” and they are in Anchorage for their current job, which naturally ends up with them betrayed and fighting their way out. The resolution is a beautifully balanced mix of cynicism and a hint of hope, and it takes an honest look at the messed-up state of this future, something Hurley does well. She also does action about as well as any current writer. Strong stuff. Thanks for the review of our first issue!